People generally go into business because they have a skill or product they are passionate about, but all too often find that, as the business grows, managing people takes their time away from that passion. Why is HR important for SMEs? Isn’t that a corporate function? 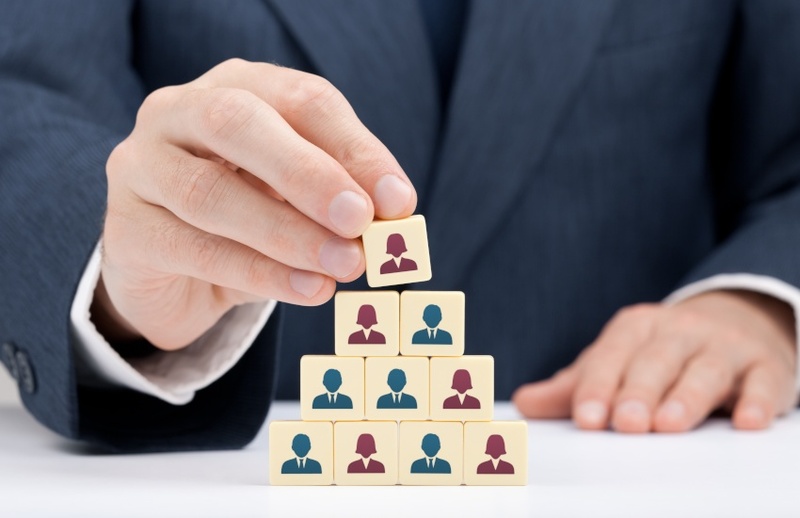 People management is actually most pronounced within small and medium-sized businesses, given that they collectively employ the vast majority of Australian workers. Figures from the Australian Bureau of Statistics from May 2017 show that 4.7 million Australians are employed by a small business, accounting for 44.3 per cent of the total workforce. Mid-sized firms account for a further 23.3 per cent. However, despite collectively being the biggest employers, SMEs obviously have tight resources, making recruitment and HR matters much more difficult. Add to that the lack of managers and senior personnel to oversee everyday operations, and the burden only increases. Often it is only when problems become apparent that business owners realise that troubles are present. However, knowing the struggles that can impact on a business,and how those demands change over time, can allow owners to be more prepared in advance. Compliance with the myriad rules and regulations of being an employer. This includes navigating modern awards rates and conditions, payroll and employee entitlements, unfair dismissal rules, rostering, working visas, superannuation, and tax obligations. The time spent managing people rather than managing the business. Creating a desirable culture. Culture can be make or break when it comes to recruiting and retaining staff, as well as ensuring strong productivity, but it isn’t something that can be changed at the press of a button. Managing conflict and disputes. Aside from dealing with customer complaints, employers are responsible for resolving conflict with and even between employees, including bullying, harassment, and misconduct. Overcoming industry skills shortages. High-demand sectors and niche fields in particular can often struggle to find qualified and experienced personnel to fill crucial roles. As every business owner knows only too well, things don’t stand still: needs change as the business grows and develops over time. However, it can be difficult for leaders to recognise these needs until cracks in the system become painful gaps. Additional staff means increased floor space requirements, more technology and telecommunications needs, and so on. Individual roles can evolve over time, leading to a disconnect between a worker’s employment contract and the actual duties they perform. A larger workforce can generate communication problems, with the owner no longer having direct access at every moment to every employee. Meeting space becomes an increasingly important consideration, as more and more staff are required to collaborate. The volume of everything, from expenses to email traffic and even postage, increases in line with staff numbers. The potential for creative differences and even outright conflict increases as staff volumes grow and power dynamics shift. Initially, business owners may be able to manage these themselves, but as the business transitions from start-up to small business to a medium-sized enterprise, time constraints become ever more pronounced. When this happens, the owner of the business must determine whether to create specialist roles in-house (such as HR managers, IT officers, finance and administrative support, legal and facilities managers) or outsource these functions externally. No matter which way business leaders choose to go, the delegation of non-core functions such as HR to others can free up a great deal of time and effort, and let them get back to what they do best: growing their business. That means more time for making strategic plans, fostering high-value customer relationships and steering the business forward. Technology: With the help of technology, certain functions can be automated all together, while others digitise previously manual processes. There are systems and platforms to assist with staff rostering, payroll, expenses management, overseeing employee workflows, updating organisation charts and more. Intranets can help boost internal communication and answer FAQs, reducing the burden on business leaders and managers. Outsourcing: Gone are the days where all business functions needed to be done in-house. Many SMEs enjoy tapping into expertise as and when needed at a fraction of the cost of bringing that knowledge in as a full-time employee of the business. Delegation: Sometimes it can be as simple for business owners to take a look at all the ingredients on their plate and prioritise which require their attention, and which can be delegated to other members of staff. Janet’s online clothing firm has enjoyed spectacular growth since she it launched five years ago. The business has quickly taken on more employees to meet this growth, with a workforce now at 50 people. However, while the company’s orders are booming and client retention is very strong, its HR functions are heavily strained. The rapid pace of growth created significant challenges for Janet, particularly in regards to hiring new people, retaining the quality staff she already has and ensuring she is fully compliant with all HR legislation. Recognising her need for some HR expertise, Janet weighed up whether to hire a dedicated HR manager or outsource her HR functions. She determined it would be better for her business to keep paid employees in customer-fronting roles, and outsource the other functions. As a Qantas Business Rewards member, Janet decided to engage HR Advance, a Qantas Business Rewards partner, so that the money she was investing in her HR processes would also return rewards, with Qantas Points enabling her to upgrade her flights when travelling interstate. While working with HR Advance, Janet discovered opportunities to improve productivity from her existing workforce by upgrading the business’ technology. Given how well the situation was working with HR Advance, she looked no further than Qantas Business Rewards partners Samsung and Dell to help with her technology needs and simultaneously earn even more Qantas Points. Turn everyday business expenses into Qantas Points. Find out how to earn up to 300,000 bonus points when you join Qantas Business Rewards free and take up our partner offers by 30 June 2018.